Since purchasing my iPad a couple of months ago it has become my e-reader, computer, toddler distracter and so much more. 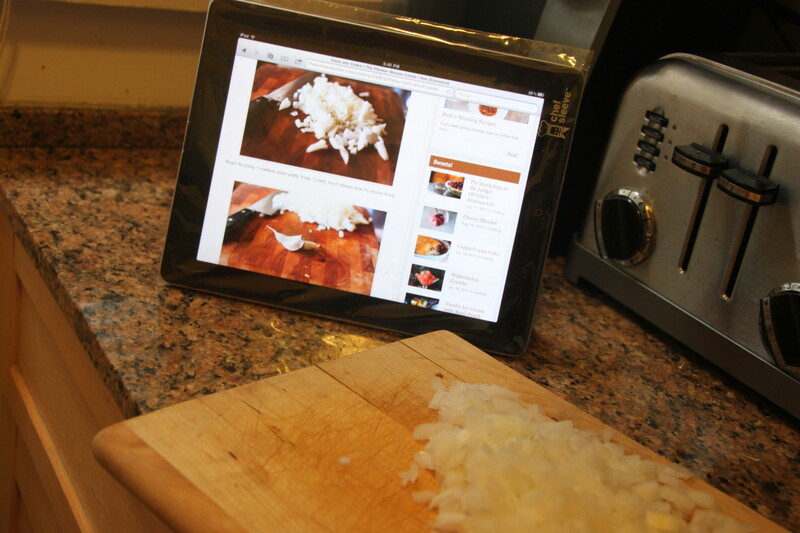 One of my favorite ways to use my iPad is in the kitchen. I cook dinner for my family almost every night of the week and use recipes from the internet all the time. Up until getting my iPad, I was bringing my computer in the kitchen with me. Now that I have the iPad it makes looking at online recipes so much easier. Although easier, cooking with any technology in the kitchen could be a recipe for disaster. Bringing the iPad into the kitchen is always a risky move due to all of the liquids that I use to cook and could potentially spill and destroy the iPad. The Chef Sleeve was created to ease the fear of bringing the iPad into the kitchen and let you focus on what really matters, your home cooked meal. It protects it from all of the spills you might encounter along the way. 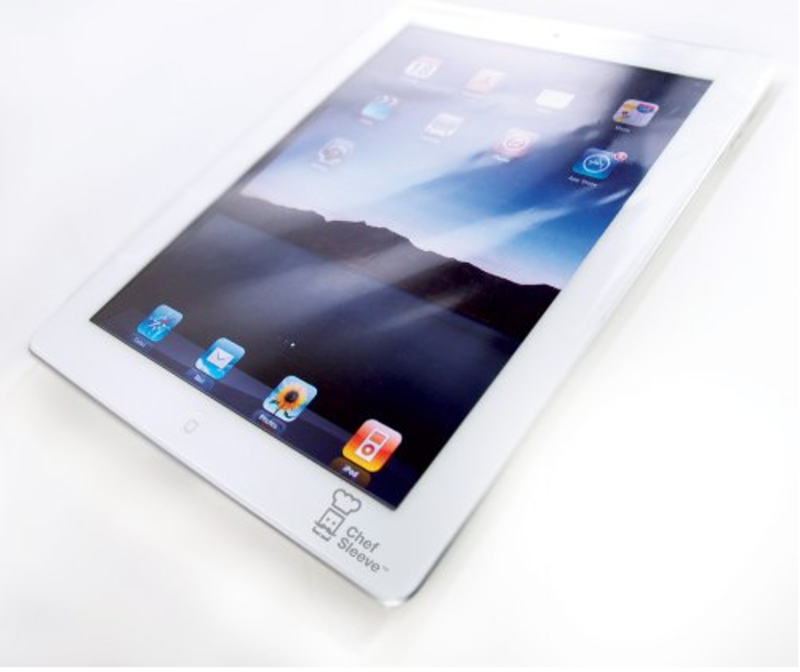 The clear plastic sleeve fits perfectly over the iPad, allowing you to easily grip your iPad while covering all of the output/input ports. I was impressed at how great the iPad still worked with the Chef Sleeve on. I was still able to use all my apps, surf the internet, and I was even able to video chat with my in-laws with it on and no one noticed a thing. The only downside to the Chef Sleeve is that with it on, it makes the volume a little bit hard to hear. Not only is the Chef Sleeve great for the kitchen, but I have also taken it on trips to the beach with me to protect my iPad from the sand. It allows me to still catch up on a good book while soaking in the sun and not worrying about the sand getting inside the ports of the iPad. 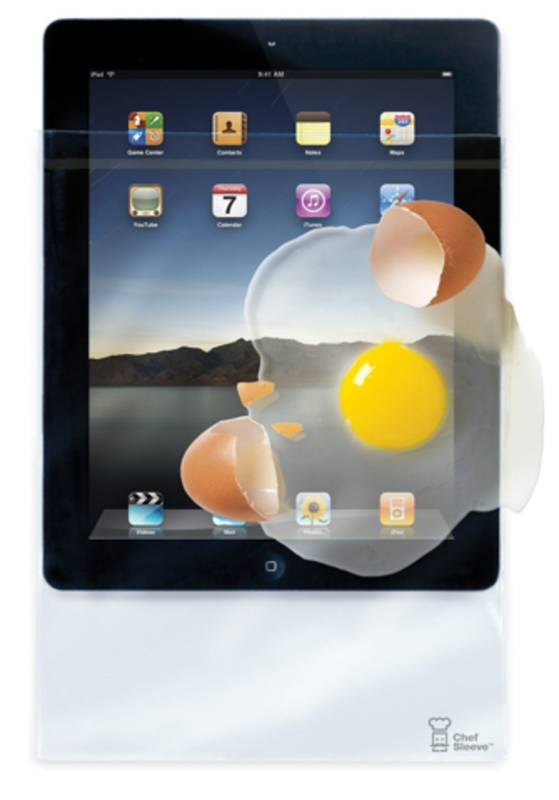 Chef Sleeve for iPad comes in a pack of 25 and retails for $19.99 on Amazon. To learn more about the Chef Sleeve, visit their website www.chefsleeve.com. Momtrends was not paid for this post. We did receive the product for review.